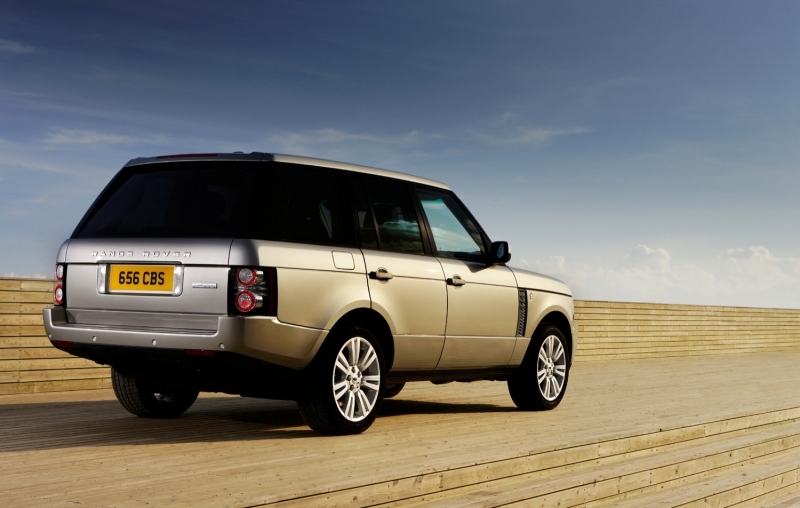 Few brands in the modern carscape enjoy the dichotomous image that Land Rover’s Range Rover so expertly exudes. At its core a go anywhere, climb anything, traverse all conceivable topographies utility vehicle, somehow the Range Rover manages to look as at home dropping celebrities onto red carpets as it does traversing the Kalahari with weeks worth of consumables strapped to the roof. How they have managed to pull off such a feat largely remains a mystery that has driven marketing professors mad for years and kept the competition guessing for equally long, but it does ensure one thing – each successive Range Rover design is more impressive than the last, both in staggering off-road confidence and opulent luxury. 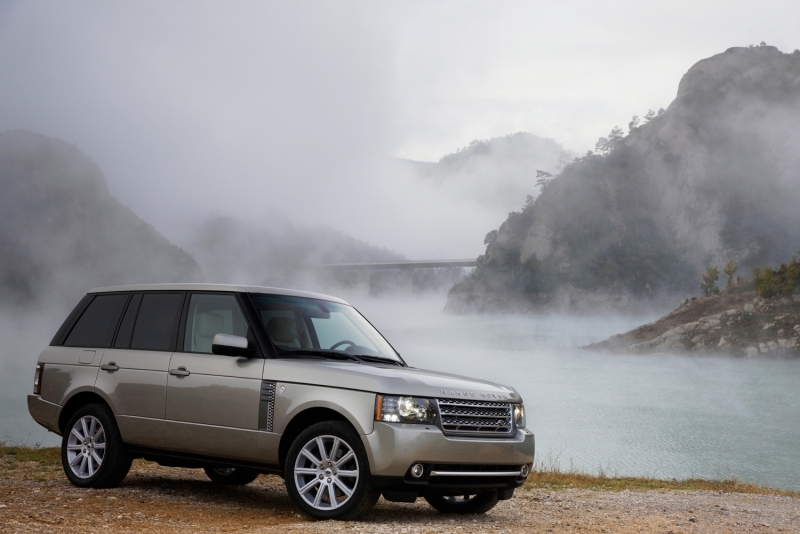 So why should the 2010 Range Rover HSE be any different? Aside from a few subtle exterior changes – including easily identifiable LED headlight surrounds – most of the differences in the new Rangey’s design lie under its skin. A new 5.0-liter direct injection V-8 engine provides performance virtually indistinguishable from that of the old supercharged unit, while the suspension measures road response 500 times per second and has the ability to adjust up to 100 times per second. Interior refinements include a simplified dash layout and a highly impressive 12-inch TFT all-digital dash that can provide drivers with a multitude of information. Plus, you can still drive it up (and down) just about anything. Of course, if that’s not enough, there’s always the 510 hp supercharged model. Range Rover’s new 12-inch TFT screen is the largest in the industry and can provide drivers with useful off-road information such as differential lockup and vertical wheel travel. The increased low-end torque of the new engine fits the chassis and its off-road demeanor well. There are only ten options offered for the vehicle, which really simplifies the buying process and doesn’t make the consumer feel as if they’re pricing themselves out of the vehicle. It’s difficult not to laugh at fuel economy consumption numbers that never escape the high teens, in this case 12 mpg city, 18 mpg highway. Blame the bulbous 5,697 lb curb weight. Cargo capacity is also down on some of its larger competitors. 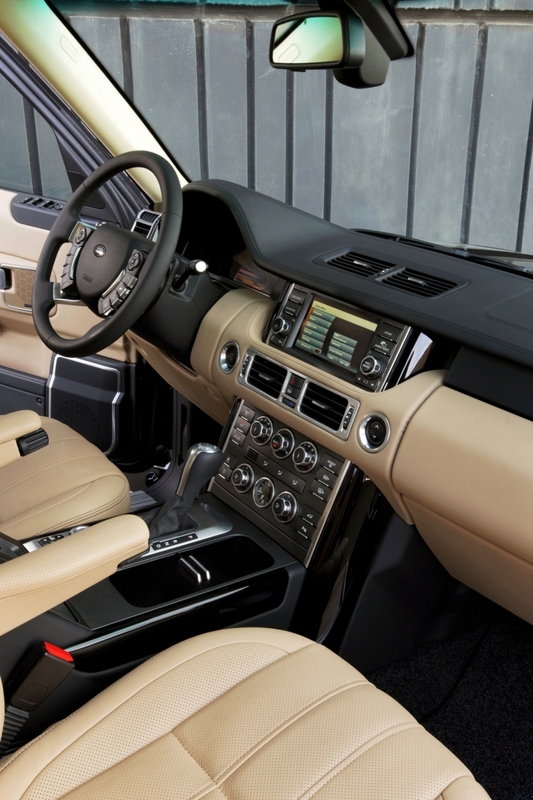 Luxurious and massive, the Range Rover is like a limousine jacked up on stilts. The steering is quite light and not very feelsome – perhaps hinting at its disposition for off-road antics – but is accurate, making the massive Range Rover easily placeable on roads. Adjustable air ride suspension floats over imperfections in the road with ease, and with 9.1 inches of ground clearance you ride very high in the cabin indeed. But what would a Range Rover be without the ability to pull off the road at leisure and annihilate whatever terrain it comes across? With the air suspension in its highest setting for off-road driving, 11.1 inches of ground clearance helps keep undertray damage to a minimum, and even on factory tires and it’s surprisingly capable. The 5.0-liter V-8’s low-end torque and linear throttle response make slow climbing easy, yet out on the road, 0-60 comes up in just 7.2 seconds, which is basically performance hatchback territory. 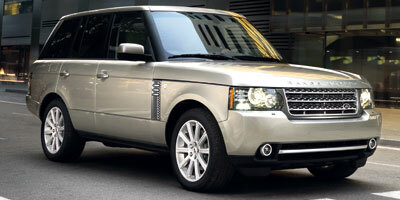 The Range Rover HSE uses a 5.0-liter direct injected V-8 engine that delivers 375 horsepower and 375 lb-ft of torque. Power is driven to all four wheels via a ZF six-speed automatic gearbox with a two-speed transfer case and variable locking center differential. The transmission features three modes: Normal, Sport and CommandShift (manual), and the sport mode does a great job of keeping the engine in its powerband, but is never overly aggressive with its shifts. Off-road features such as Hill Descent Control, Gradient Release Control and Land Rover’s famous Terrain Response system – which lets drivers tailor the chassis to various off-road conditions – all come standard. Obviously not a Range Rover strong suit, the close to three-ton Range Rover HSE returns just 12 mpg city, 18 mpg highway. It’s actually more economical than the outgoing powerplant by a factor of 7-10 percent, and is emissions rated at ULEV-II. 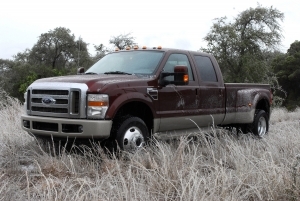 Unfortunately, the more economical diesel models are not currently offered in North America. A less button-heavy dash is a relief, with the nav screen simplifying the overall layout, though the interior styling still features a strong horizontal emphasis. Drivers will enjoy using the industry’s largest TFT screen, which replaces the traditional gauges with a 12-inch digital screen that changes display information based on the selected driving mode. Ten interior color combinations and three trim options are available. Range Rover’s new LED-lit front end is sleek and modern, giving the car plenty of presence out on the road. The overall shape remains essentially untouched – a response to customer demand – though die-hard fans will notice small touches like a new grille and front bumper design. 19-inch rims come standard and 10 exterior colors are available. 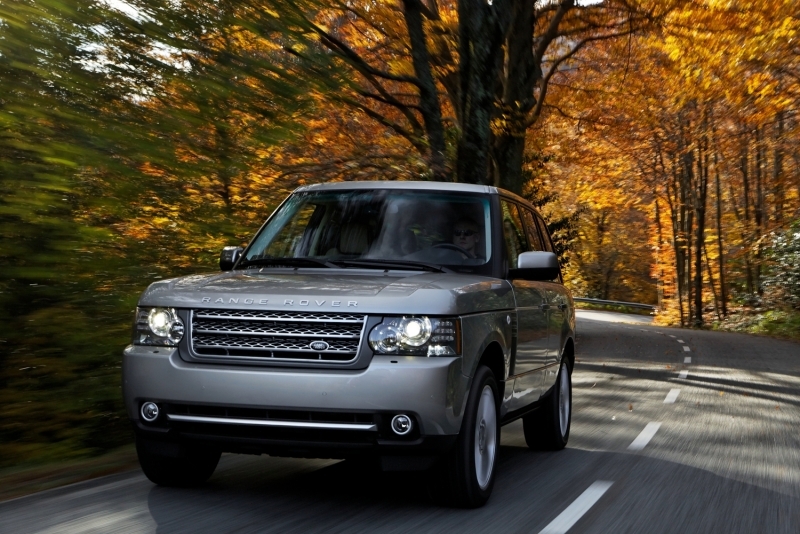 At $79,275, the Range Rover HSE represents the pinnacle of SUV engineering and design… and pricing. That is, until you see the astronomical MSRP of the main competition, the $100,250 Mercedes-Benz G550. Other key competitors include the $76,405 Lexus LX 570 and $60,000 Porsche Cayenne S.